His little legs pumped up and down as fast as they could. He rounded the corner by flinging himself round the light poll. He could see the bus up ahead, it was just pulling away from the curb. “No please wait” he yelled, but it was no good. He’d missed the bus again. He sat down in the dirt by the side of the road and cried. He’d really been looking forward to the trifle his mumma was cooking for desert. But all he was going to get was a bruised backside from his daddy. He’d missed the bus again. I had never been a fan of carnival rides, they always felt dodgy. We were flying, spinning around three stories above the ground. I could hear the metal creaking and groaning. I heard a growling grinding noise, then a metallic ping. Next thing I knew I was plummeting towards the ground. I thought about how devastated my mum would be, how happy my step-sister would be. I thought about my old dog, Gumby. Then suddenly I wasn’t falling anymore. I was flying upwards with two big strong arms cradling me. That was the day I met Superman. ‘‘RUN’’ came a voice from the next room. I was dizzy from the petrol fumes and didn’t react in time. Within what felt like seconds the whole room I was standing in was alight. I hadn’t let on to the local boys that I thought it was wrong. I wanted to be one of them. It was stupid and I will probably always have scars from the third degree burns I suffered. I’m just glad I’m alive, some of the boys weren’t so lucky. I’ve never felt the need to fit in ever again. Sorry guy’s I’ve been watching a lot of Dr Who lately, David Tennant style. I love that man, or should I say I love that Doctor. This flew out of my hands at 167 words and as I always make it exactly 100 words, it was hard to cut down – but TADA! I did it. I can totally see myself running across a field like a lunatic chasing after a blue police box Mwahahaha. I didn’t see the stump hidden in the long grass. I didn’t have time to register the pain radiating from my left shin bone. I got right back up and kept running. I could see the old school blue police box in front me. Adventure and freedom so close I could feel it. I was about 200 meters away when the box shimmered, I heard a grinding noise and it disappeared. 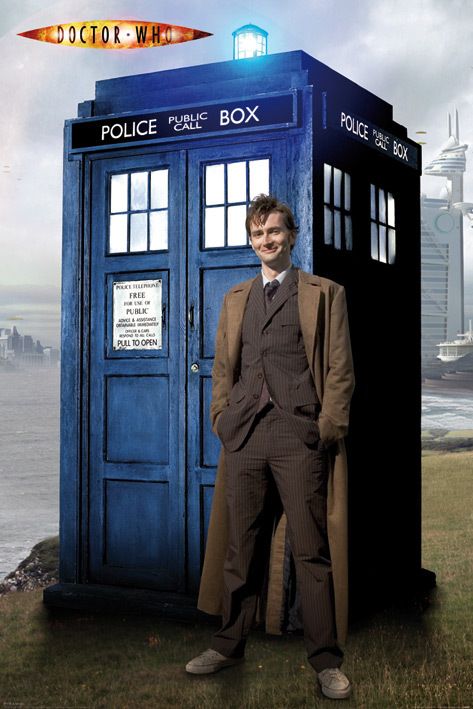 I’m still looking for that blue box and hopefully one day I will get my chance to travel time with the Doctor. Phillip was staring at a Route 66 sign and he was feeling rather sorry for himself. He had just convinced the lady behind the counter to give him a cup of tea, when he felt the room shake; his vision twisted and blacked out. His ears popped and his vision returned. He was standing in what appeared to be a dirt hut. “Not again” he moaned to himself “I’d only just figured out where I was, again”. Furious with the fate he had been given, he stomped out the door to try and discover where he’d ended up this time.